Salar de Uyuni is the world's largest salt flat. 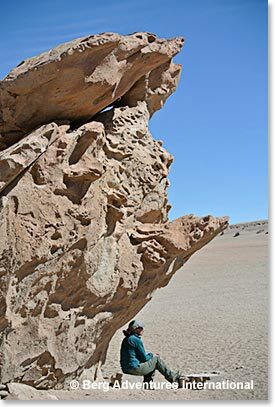 It is located in southwest Bolivia, at an elevation of 3,656 meters (11,995 feet) above sea level. The Salar is a major breeding ground for several species of flamingos. Even though the area is huge, (10,582 square kilometers or 4,086 square miles), it is extraordinarily flat. 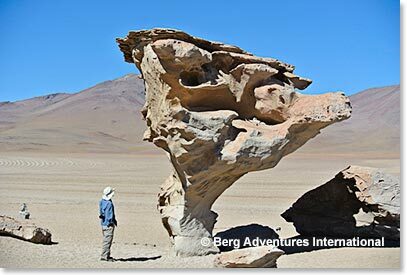 The average altitude varies less than meter over the entire area of the Salar. 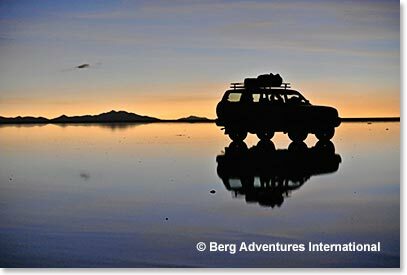 The Bolivia Salar de Uyuni is one of the most amazing, remote locations in the world. Clear skies and the exceptional flatness of the surface have made the Salar ideal for calibrating the altimeters of earth observation satellites. Many of the hotels in the area are built with salt blocks. The first such hotel was erected in 1993. 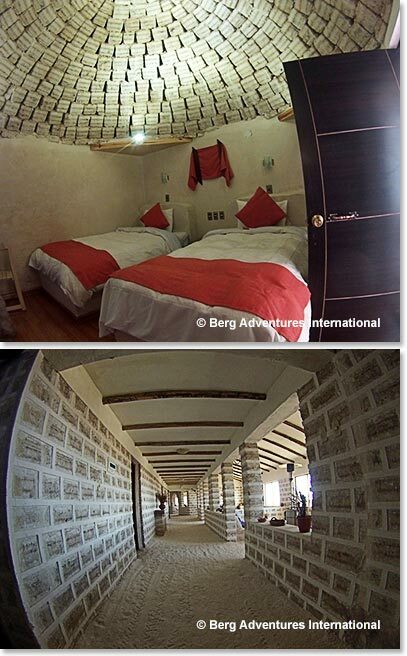 New salt hotels were built near the periphery of the Salar, closer to roads, in full compliance with environmental rules. We also visited Laguna Colorada. Dotted with white islands of borax deposits. 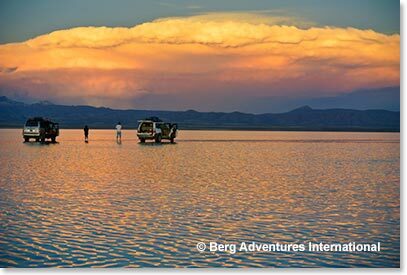 The 15,000-acre salt lake is less than three feet deep; it is tainted blood red due to a variety of algae which thrive in the salt water. What a great road trip! Osvaldo, Maria and Dave left La Paz at 7:30 AM for the long, but beautiful drive south and west toward the border with Chile. This is a wild, lonely drive, but conditions could not have been better. 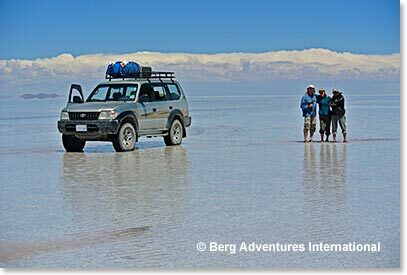 There is a new paved road that leads all the way to the Bolivian city or Uyuni and they were driving together in a Toyota 4 wheel drive. After a few hours of driving we stopped for lunch in the city of Oruro at a favorite restaurant of Osvaldo’s, for some great local food. 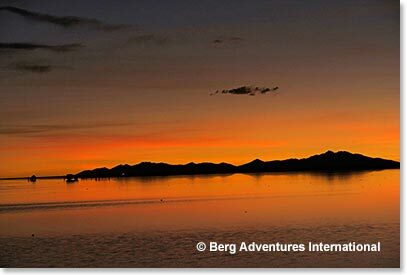 The meaning of the name Oruro is “the place where the sun is born”. Oruro is sometimes called “the most Bolivian of Bolivian cities”. The population here is 90% indigenous. Oruro has also become famous throughout the rest of South America for their colorful Carnival festivals each year. We reached our destination, Uyuni, by 4:30 PM. We had driven 480 Km to get here. Only a few places are this flat which makes the Salar the perfect place for satellite calibration. 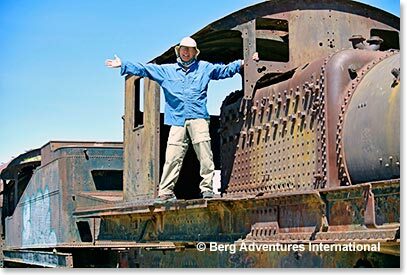 We went to Uyuni’s most famous site, the “Train Cemetery”. We made a quick stop and then continued on to Colhani, the town that is actually on the shores of Salar itself. There is amazing light for photographs here, because of the altitude, clear air and the salt. 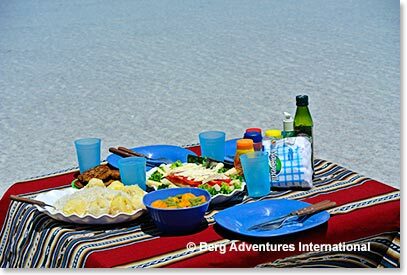 Maria prepared a picnic lunch on the salt flats and we visited our hotel, rooms made entirely of salt! A visit to the 'Cementerio de trenes', (train cemetery) is a must. Uyuni was an important transportation hub for trains, built by British engineers invited by the Bolivia Railway Companies. The trains were used to transport minerals from the Andes to the Pacific. After the collapse of the mining industry, the trains were abandoned, now rusted by the salt winds blowing over Uyuni. Among those locomotives were the first ones that entered Bolivia to replace mules that was used for transportation, famous for being robbed by Butch Cassidy and the Sundance Kid. 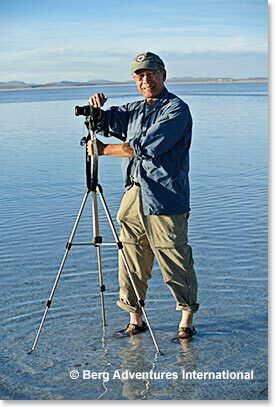 Evening time is the best for photography so we drove back to the flats to do photography from 5:30 to 9:30 PM. After dark the balcony at the hotel was perfect for setting up the tripod for night photography. We left early for the real wild areas. We drove past the Borax mines and the beautiful landscape drew us further and further until we reached a fantastic valley of rocks. The desert is quite barren but there is wildlife; we saw both vicunas and rheas (ostrich). In what seemed like the most remote area we were amazed to see our next hotel. Clear skies and no wind today, really perfect. 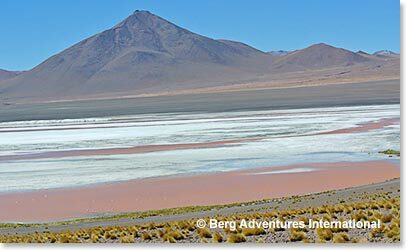 We kept going to Laguna Colorada and then a bit further where we reached the highest elevation on the trip, 5000 meters! We finally arrived at Laguna Colorada. 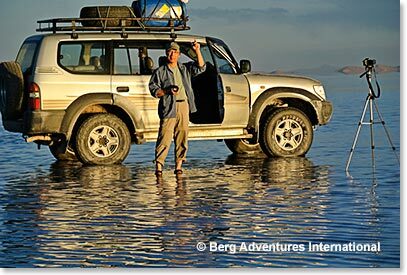 We descended and arrived at Laguna Salada where we enjoyed a hot springs bath! Before returning to our hotel we stopped to ponder the rocks and landscapes that inspired the famous Salvador Dali paintings. We returned to our hotel, tired but excited by all the fantastic scenery that we had seen. We stopped to see the rocks that inspired the famous Salvador Dali paintings. Today it was time to head back to Uyuni. We drove on a different route and enjoyed seeing flamingos at Laguna Cahi. We spent the night at Hotel Luna Salada. The Salar is a major breeding ground for several species of flamingos. Morning flight back to La Paz.